Freddie Mercury is the *only* interesting member of Queen. So we get a typical, boring “biopic” that changes the dates/timelines of major events and avoids all controversy or taboos. Boring. 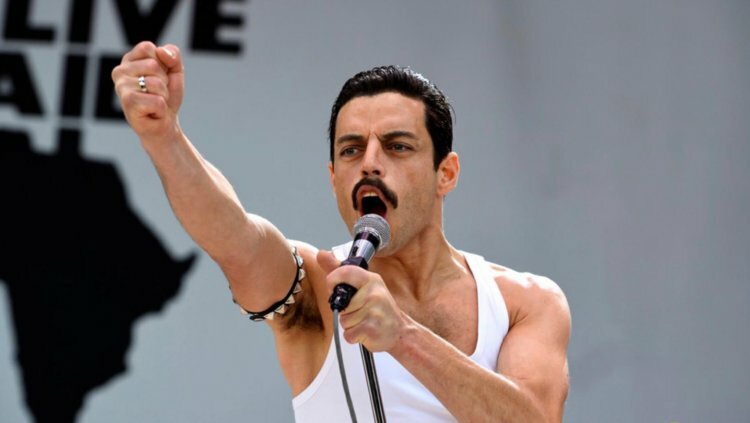 The only reason to see this movie is for the recreation of Live Aid and Rami Maleck who is incredible. Stay home and youtube the real Live Aid performance by Queen and you’ll be happier. Did we need this movie? No. Is it good? Not really. Will your kids love it and you’ll tolerate it because its only 90 minutes long? Yes. 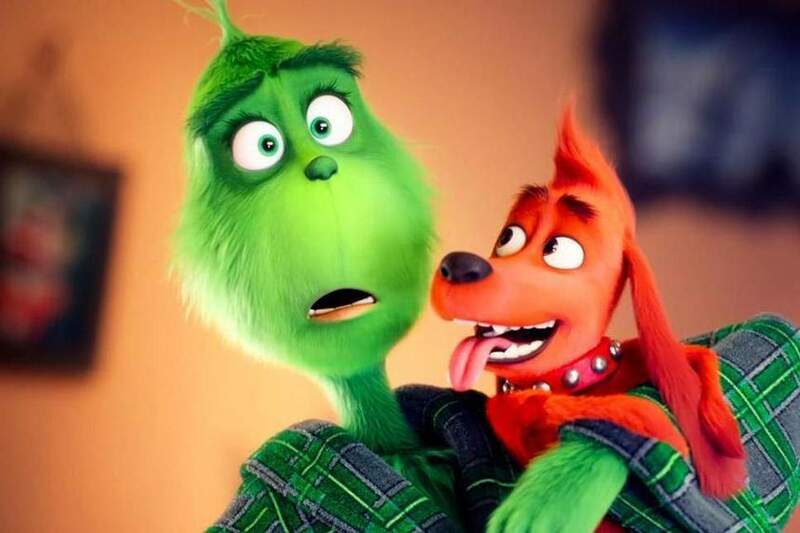 The new Grinch is very pretty to look at and has some of the best animation I’ve seen outside of Pixar. The imagination and creativity into the Whos and Whoville day to day life is fun to watch. Story-wise there is nothing new except the writers give Cindy Lou Who a better back story instead of being a sleepy child from the cartoon or a creepy mouse person from the Jim Carey version. The highlight for me was a neighbor of the Grinch voiced by Keenan Thompson who made me laugh out loud a few times. This is what happens when you let talented filmmakers and actors play in a genre sandbox. This cast is so incredible with every single one of them bringing their A-game. 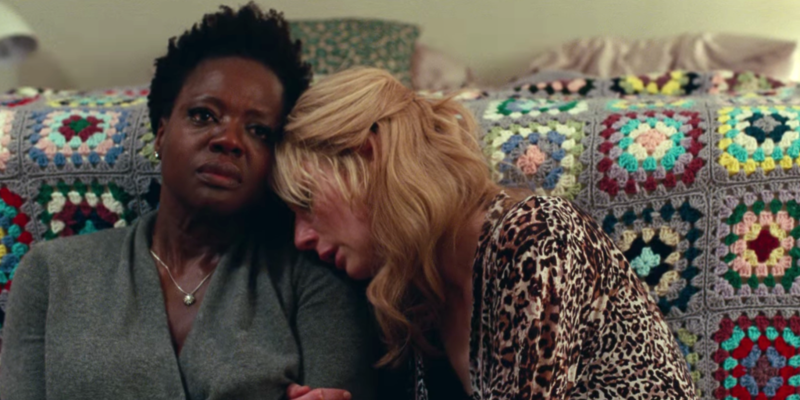 Viola Davis and Elizabeth Debecki are great to watch. Brian Tyree Henry plays a fantastic villain and his brother/henchman played by Daniel Kaluuya is menacing throughout. The script is a tad predictable with few twists you see coming earlier than the writer probably intended but the power of the performances and the intensity throughout makes up for it. A friend of mine joked that this female heist is what Ocean’s 8 wishes it was. Can’t say I disagree. If you paid for this, I’m sorry. I haven’t sat through a 2 hour movie this year and cared less about what was going on minute to minute than this one. Claire Foy’s agent should be ashamed. JK Rowling is a fantastic author, a brilliant mind, and a visionary. I can’t explain why her goal with these two movies is to make George Lucas’ prequels seem decent by comparison. The only bright spot of this movie is Jude Law as Albus Dumbledore. The first actor who fully encapsulates the charm, brilliance, and swagger that Dumbledore had in the books. Johnny Depp not being fired in favor of Colin Farrell after Depp *allegedly* committed some crimes might come back and haunt this series. He is such a bore as a villain. Farrell stole every scene in the first movie and his absence in the villain arena is felt. I want to give her the benefit of the doubt and maybe when movie 5 ends all of this will be worth it but at this moment? I couldn’t tell you more than one significant moment in 2 entire films. It felt like a two hour version of “Previously On” because the plot barely moves forward in this one. The “sacrifices” and plot gymnastics may have worked in a 750 page book with room to flesh out characters but aside from Dumbledore, I didn’t care about anyone in this movie. Worst of all, JK Rowling put forth no effort to even try and make me excited about the third movie. This was a good time with the kids that had a few great moments. The biggest flaw is that the movie already feels dated in how it portrays the internet because everything moves so fast. 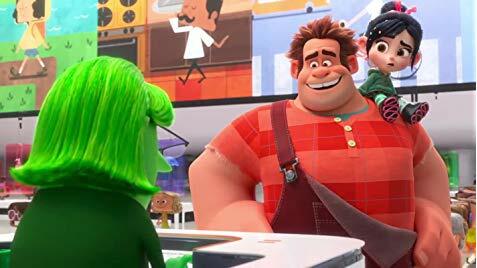 Ralph and Vanellope has a strange but unique friendship that was really the highlight of the movie from a resonance standpoint. However, 3 separate scenes that rely on the Disney princesses legitimately had me laughing out loud. It was so creative and funny how they were used. This one is worth checking out with the family, especially if you have kids. All hail Michael B. Jordan. Just a fantastic follow up to the first movie that increases the stakes allowing the characters to grow with the story. Bianca and Adonis’ relationship scenes could have been straight out of an Oscar worthy dramatic couple movie. There is a pregnancy and child subplot that was emotional and believable. I expected the Dragos to be dumb over-the-top garbage but the writers and directors really gave us a reason to know them and see their point of view. I didn’t agree with it but they were fleshed out in this movie in a way I didn’t expect. The real bummer was that Rocky had nothing to do. I don’t know how he is so poor and lonely and boring. I understand why Stallone announced he is done after Creed 2, there is nowhere left for the character to go. The fights in this movie are insane. I clapped at one part. There is something about the brutality and way it is filmed that you can’t help but get lost in the fights, it was a blast. This movie also had another great training montage. Not as good as the dirt bikes in Creed but in this one when ‘Runnin” by ASAP Rocky kicks in the entire audience I was with could have run through a brick wall. This was my favorite of November and was a truly feel good triumph of a sports movie sequel. This entry was posted on Wednesday, December 5th, 2018 at 12:50 pm	and is filed under Film, News. You can follow any responses to this entry through the RSS 2.0 feed. You can skip to the end and leave a response. Pinging is currently not allowed. « The Unbalanced Note #14 – ‘FRANK ZAPPA’!